Also, wow. People really bought up this new tail of the month, only two sizes that aren't sold out completely. Ohmygosh! That tail skin is gorgeous! No wonder it's flying off of the shelves! Definitely need to get, when they get the medium size back in stock! If in doubt, get the next size up. That way you can alter it if its bit too big. IT CAME!! And it’s BEAUTIFUL! I haven’t had the chance to swim in it yet, but I’ll try to get a picture or video when I do. (Now that I think about it, I’ve never actually filmed myself mermaiding before, huh.) Thank you so much for letting me use your design, BlueCorvidae! It looks even better in real life!! You really did an amazing job, Blue! Their large fits me, and I am over 40" at the waist. The main issue I have is they need to be longer. My swim suit keeps getting exposed at the rear. Oh my gosh, somebody actually bought it. I'm so happy I could just faint, lol. I went to the "Mermaid Mania 2018 California Pool Party with Fin Fun" on Saturday. It happened to be within 60 miles of me. I was a little worried I would not fit in, as Fin Fun seems to cater to younger girls. Most people there were younger girls, but there were also some boys and adults. One man had his two daughters there. I asked him where his tail was, and he said he did not wear one. I, and his two daughters started trying to convince him to try it. At one point we were all chanting "join us... join us...". I asked if he was afraid of looking silly or drowning. He said he did not care about looking silly, but was concerned about drowning. I pointed out that over by the steps, where there was an instructor, the water was only 3 feet deep, so he could always just stand up. A short time later I did see him in a tail. He wore it for a good portion f the swim. Before going, I asked if tails other than Fin Fun were allowed. They were, so for half the swim I used my Spellbound. Many there had never seen a silicone tail, and were fascinated by it. I was the only one who brought a silicone tail. The other half of the swim I used my Fin Fun. I met Lyn Kenady who is VP of marketing at Fin Fun. She said that although Fin Fun started by selling to younger girls, they are expanding to boys, adults, and the elderly. I showed her the modifications I had made to my tail (elastic waistband, stiffening plate, reinforcing strap, bent monofin). She took pictures of it all. She also said that a stiffer, more powerful monofin is going to be available in a month or so. That's very interesting, Storm! Thank you for your report and good on you for helping someone else find their fins. That's an awesome story of converting those girls' dad! I finally got to try a finfun tail when I did a meetup with my friends who live scattered across the country. 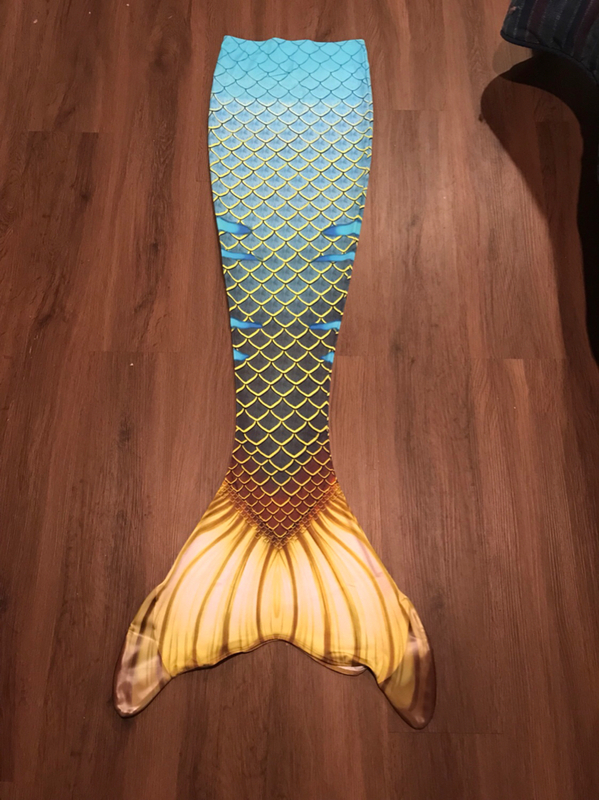 I'm used to my foil and my huge finfolk tail, so I felt like I was going to break the finfun monofin just by using it. I hope the sturdier one is less flimsy. Hey! On the topic of discontinued finfun tails, you can still buy them - you just have to email them and ask for a code that you can write on the custom tail maker, then they can print another one just for you. Agent, your custom tail looks amazing! Sometime I might pay someone to design a custom print for me, if I can come up with a design I love. I’m really into the new Atlantis tails! 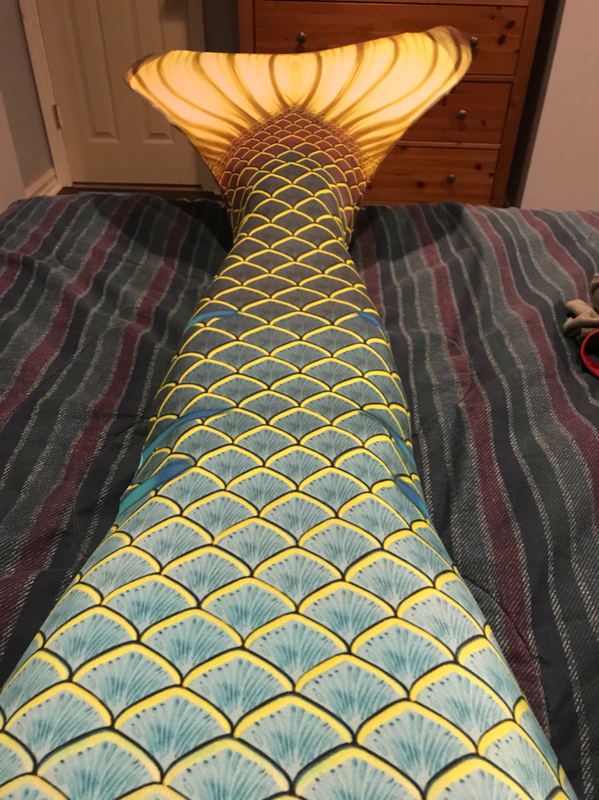 But I’m still eyeing the orca tail and my Tidal Teal is fine, I haven’t even had it very long, and without making more money I can’t justify buying a new tail right now. I’ll probably spring for one on the next tax season. I want to wait for a design I really love before getting an Atlantis tail anyway. Malia, it’s good to know that they can print discontinued tails! ...and you're the last person who posted there so I guess you already knew that. Whoops. Lol yeah. Your design is amazing and it came out beautifully! But I’d have to come up with a great idea if I want to get a custom tail. I was looking at (and longing for) the Atlantis tails again and was thinking that a black one (maybe with a bit of color detail, perhaps colored fins or spots) would look great! Give it a sea monster vibe. I was wondering what everyone's opinion on the Finfun Atlantis was? 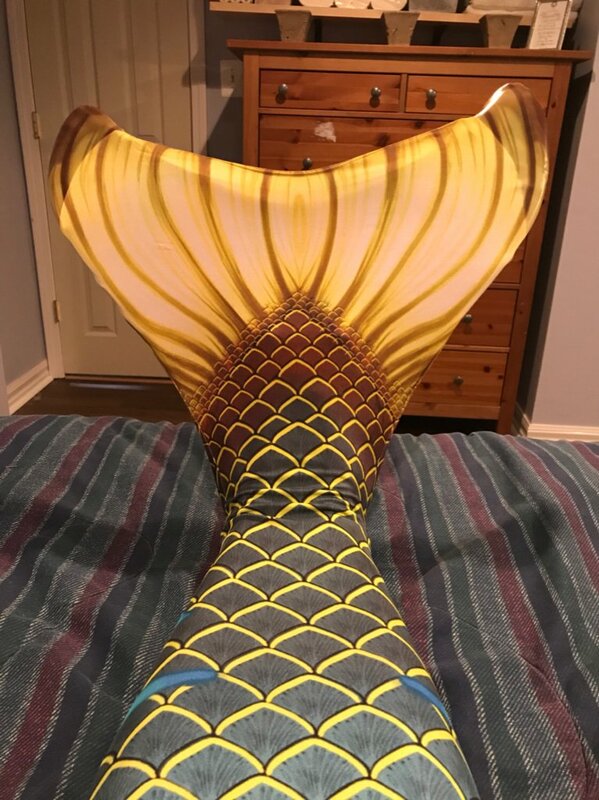 I am tempted to buy one with a new monofin for it since mine was bent and best sent with a friend of mine so she could learn and practice being a mermaid. Any news from people who have bought one?